In some cases, when you need to do something in a WordPress website, but all you have is only access to WordPress database and FTP, and you cannot get the admin password from the database because it’s decrypted. All changes you have to make via some low level MySQL queries, it’s hard and easy mistaken. Joost de Valk has written a script for emergency access to WordPress dashboard by changing admin password or creating new user. 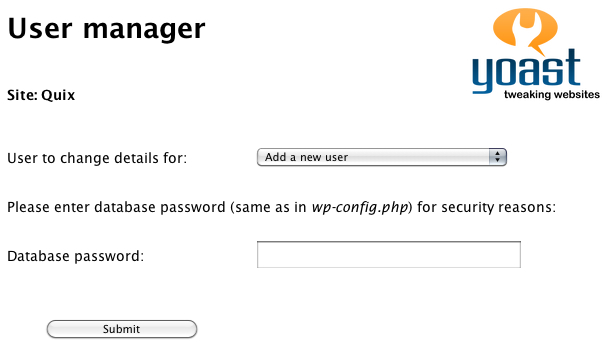 The script helps you to manage WordPress user accounts. 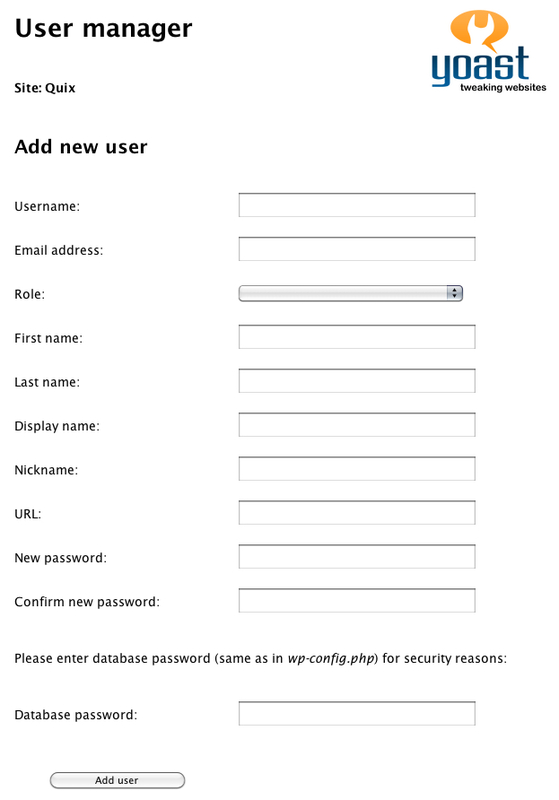 You can change users’ details, including password, assign roles or creating brand new users. After that, you can use these account to access WordPress to do what you need to do. Clicking “Add user” will add the user to the database, or, if you’re editing an existing user, update it in the database. Emergency WordPress Access script is a good way to make the development easier, especially when your clients don’t provide full information to you. It also helps us to change users’ password in case of forgotten. And of course, it’s a new and efficient way for us to manage users.